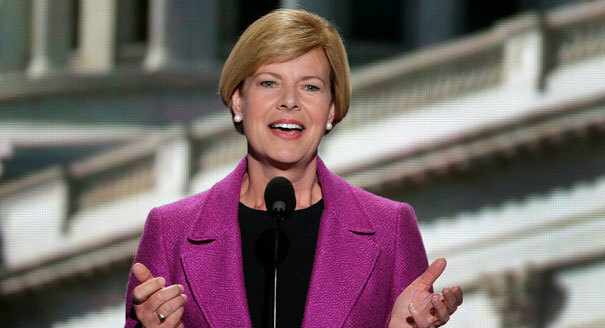 Born and raised in Wisconsin, Tammy Baldwin went to the University of Wisconsin in Madison, where she also received a law degree. First elected to the Board of Supervisors in Dane County in 1986, she has served in elective office continuously since then – as a Democratic member of the state assembly, the House of Representatives, and the U.S. Senate. Her 1998 election to the House of Representatives in Washington made her the first non-incumbent openly gay person elected to the United States Congress; she was also the first open lesbian to serve in Congress. In 2012, she ran successfully for election to the U.S. Senate, becoming the first openly lesbian/gay U.S. Senator in history and the first woman elected to the Senate from Wisconsin. As a legislator in Washington, Baldwin has strongly advocated for proposals to extend access to health care to all Americans; to regulate the banking industry; and to make the tax system work to the benefit of low and middle income families.